In 2018 I got a small inheritance from a relative. One of the items I was going to invest in was a 3D printer to tinker with. I had a budget in mind of £300 – £400. 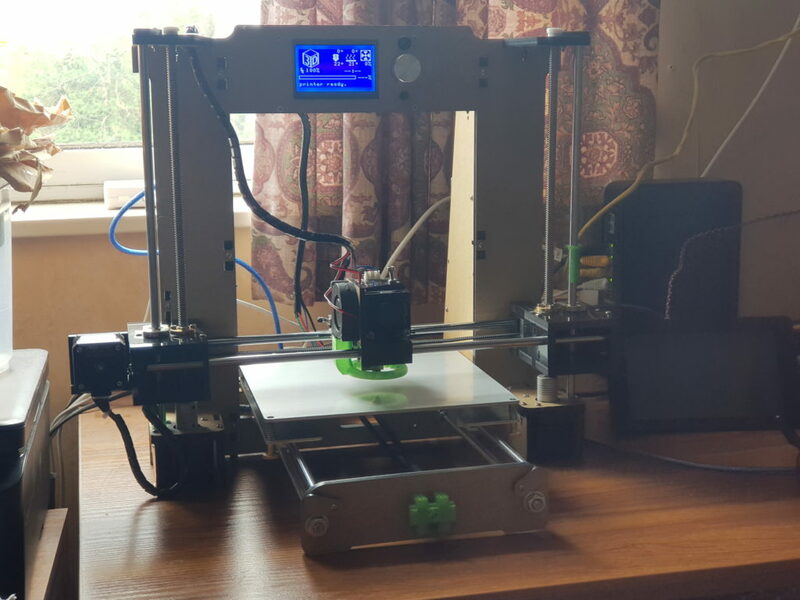 A few weeks ago a friend offered to a chat group I’m in his old printer to anyone who would pay £75 (available online for between £170-£230 at time of posting). I said was keen and we settled on £70, and a roll of filament was thrown in too. I am now the owner of an Anet A6 3D printer. I went on Amazon and also purchased a new UltraBase heatbed and 2x Mosfets (for the Print head and Heat bed of the printer). I was advised the heatbed I’d either need a sheet of glass or something better, so went for the UltraBase option. Also I have a Raspberry Pi 3 with 7″ touchscreen and installed OctoPrint ( https://octoprint.org ) to control the printing & whilst I was at it, I upgraded the Pi 3 from an 8Gb SD card to 64Gb. I hope to be able to show some of my 3D Prints soon, but as of posting I’ve not actually printed anything. I will make a collection on Thingiverse of things I’ve actually printed. It's been 14 years, 8 months, 0 weeks, 4 days, 5 hours and 11 minutes since I gave up smoking. I've not smoked 45893 Cigarettes nor spent £15,259.42. EXC.